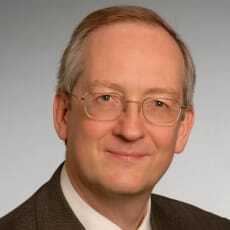 Maurits JFM Dolmans is a partner based in the London office of Cleary, Gottlieb, Steen & Hamilton LLP. Mr Dolmans’ practice focuses on EU, UK and international competition law, as well as EU regulatory, and EU intellectual property law. Mr Dolmans has extensive experience in the information technology, telecoms, media and entertainment sectors, as well as in energy, medical devices, chemicals and manufacturing industries. He has appeared in proceedings before the EU Commission and the EU courts, national courts and national competition authorities of several Member States, and ICC and NAI arbitrations. Many of his competition cases involve abuse of dominance, licensing or refusals to license, European standardisation, access to networks, mergers, joint ventures and other transactions in the IT, telecoms and other areas, intellectual property arbitration and litigation, abuses of dominance and cartels. He has published widely in these areas. Mr Dolmans’ public cases include EU clearance for Google’s acquisition of Motorola, UK OFT clearance for Google’s acquisition of Beatthatquote and Waze, successful closure of a range of complaints against IBM for alleged abuse of dominance, representation of Google in a wide range of matters involving alleged abuse of dominance relating to patents, search services and advertising, and various antitrust cases against Microsoft. Mr Dolmans is distinguished by Chambers’ guides to ‘the world’s leading lawyers’ and by other publications as a leading lawyer in the areas of competition/antitrust and communications. 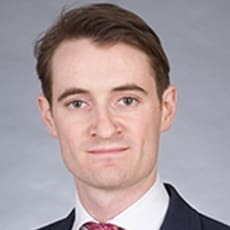 Henry Mostyn is an associate in the London office of Cleary Gottlieb Steen & Hamilton LLP, having joined the firm in 2012. He is a barrister of England and Wales. Mr Mostyn’s practice focuses on all aspects of EU competition law.